Make the format of a sentence match an example text, including font, size, and color. Add highlighting and other special formatting. Locate, open, save, and close Word documents. Millions of users and organizations rely on Microsoft Word – a powerhouse of tools – to craft internal and external correspondence and documents, including business reports, invoices, statements, marketing material, and more. Because it is such a valuable program, hiring employees who can navigate the basic functions of Microsoft Word can reduce the new hire training period and increase overall office productivity, saving company dollars and resources. Accurately assessing a candidate’s basic Microsoft Word proficiency prior to making a formal employment offer helps to predict their ability to competently create, edit, and distribute professional office correspondence to meet business objectives. Use the Microsoft Word proficiency test – a no-nonsense and effective screening tool – to quickly gauge a candidate’s skill level. Apply appropriate font, color, and features to memos, documents, and reports for internal and external distribution. Quickly and accurately locate the correct document. 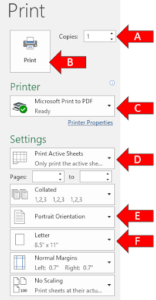 Save and store crucial company information in Word documents. Use automated tools to judge whether a document meets critical requirements for length, format, and other criteria. Use this Microsoft Word proficiency test to quickly and easily automate your screening of entry-level or experienced candidates for any positions that may require the use of Microsoft Word. Where would you need to click so that you could print in landscape format? The Microsoft Word: Basic Skills module content was developed by the Indeed Assessment Science Team, with expertise in Industrial/Organizational Psychology, Instructional Design, Education, and Graphic Design. In addition, team members worked in collaboration with subject matter experts (SMEs). Indeed’s SMEs are required to demonstrate experience performing at a high level, supervisory experience, or responsibility for defining requirements for those jobs that require Microsoft Word skills.